Pragmatic Play, one of the leading software development companies for the casino industry has announced its newest title, the Sweet Bonanza slot. 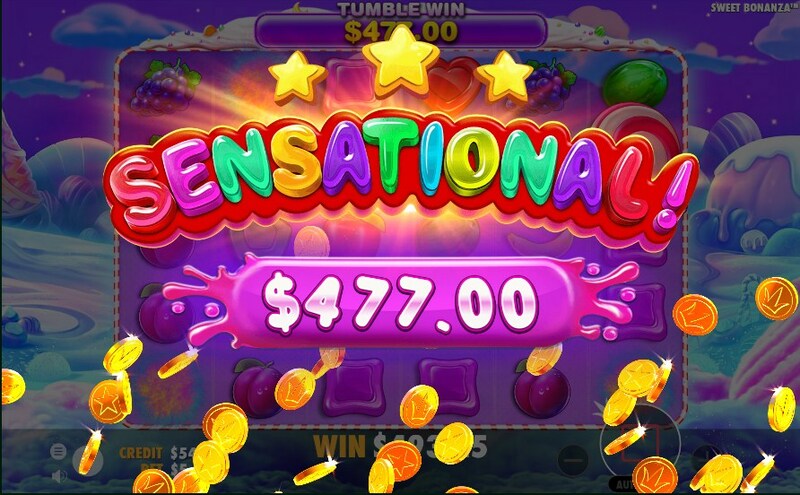 The candy-themed slot is set to become the latest addition to their amazing portfolio of casino games, which already includes mega-popular titles such as Gold Rush, Ancient Egypt, Journey to the West, Hot Safari, Aztec Gems, Diamond Strike and Great Rhino. Pragmatic Play is a Maltese slot developer that launched its first game in 2007 and has since been producing video slots and other casino games on a regular basis, powering some of the most prestigious online casino operators. Its gaming library includes more than one hundred online casino games. Sweet Bonanza is a game that will add new dynamics and gameplay features to an already impressive library of casino games and possibly make Pragmatic Play even more beloved by the players. Sweet Bonanza is the title of Pragmatic Play's newest video slot, set for launch on June 27th, 2019. The game will take players on a miraculous journey into a wonderful candy land where all kinds of fruits and candy dominate the landscape. Whether you like to indulge in fresh fruits or candies, the Sweet Bonanza slot features both. At its core, Sweet Bonanza is a 6-reel game with 5 rows and countless ways to win, since it features a win all ways gameplay. The Sweet Bonanza slot includes the tumbling symbols feature which makes all winning symbols disappear from the reels and substitutes them with others, offering additional potential payouts. Aside from its amazing base game potential. In fact, during their gameplay, players can scoop winning all the way up to 21,100x their stake. Sweet Bonanza slot will also include a free spins mode, which players will be able to trigger by stopping four scatter symbols or purchase by paying 100x their initial bet. The free spins mode offers players a massive winning potential, as every spin can get a multiplier of up to 100x, with sweet bombs appearing on the reels and exploding to multiply any regular wins. The game is a medium to high variance with an RTP or around 96.51% and bets starting from 0.20 up to 125. The Sweet Bonanza slot will be available in Pragmatic Play online casinos this summer to add some sugary fun to the hot days that await us. Join in the action this June and multiply your wins up to 100x on every winning free spin!